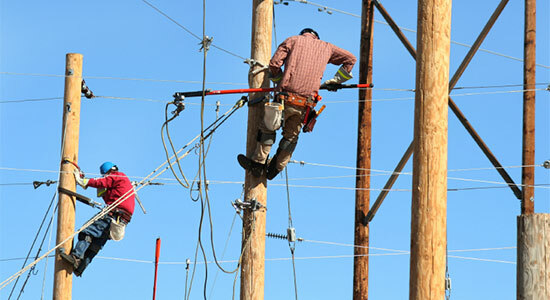 Were You Injured in a Utility Company Accident? Whether it's natural gas, electricity, water, or cable, we rely on these utilities everyday. However, if not properly maintained, any number of accidents can occur. It doesn't matter if you're an employee or a customer, negligence on the part of a utility company could lead to life-changing injuries. If you've been hurt in a utility company accident, you could be entitled to collect money for your injuries. Call our experienced attorneys today for a free legal consultation. We're available 24/7 at 1-866-943-3427 or simply fill out the form in the top right corner of this page. There's no obligation when you call, and it's absolutely free to speak with our legal professionals. Don't hesitate. Contact us today. Whether a utility company's vehicle hit your car, you were electrocuted by faulty wiring, suffered a fall from an unsafe ladder – or anything in between – we'll help with your accident case. Our legal professionals are standing by to help with your case. We'll answer your legal questions, examine the details of your accident, and determine if you have a case for compensation. Utility companies are million, sometimes billion, dollar corporations that have an entire staff of lawyers on retainer. They will attempt to settle your injury claim for as little as possible. Don't get pushed around by companies that only care about their bottom line. We'll protect your legal rights and fight to get you the compensation you deserve. Visit our verdicts and settlements page to see the type of money we've recovered for our injured clients. We'll handle the hassles of your case, so you can focus on getting better. Our legal professionals will help you plan for the future and fight to recover any unpaid medical bills, lost wages, and pain and suffering.